FindItMore | The burning sensation in your chest, difficulty swallowing food, and even chest pain are symptoms of GERD. These symptoms occur when a specialized muscle weakens and allows stomach acid to spread into the esophagus. There are many factors that can cause heartburn, such as a person’s lifestyle – particularly if that lifestyle involves smoking, obesity, excessive alcohol intake and sometimes medications. These factors may vary from person to person. There are certain food and drinks that are more likely to aggravate stomach acid and cause it to splash up into your esophagus, and these should be avoided to reduce the symptoms of GERD. 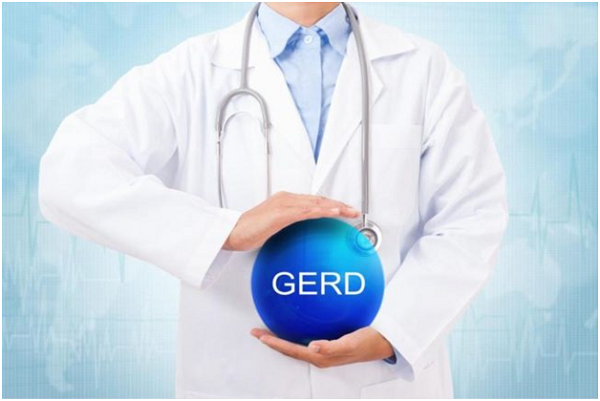 Read on to learn what GERD is, and what foods you need to avoid if you have it. Gastroesophageal reflux disease or GERD is a chronic disease in which the contents of the stomach reflux from the stomach into the esophagus and even the throat. Sphincter, a muscular ring between the end of the esophagus and stomach prevents the stomach acid from going elsewhere. When this ring gets damaged, it leads to GERD, as the acid sometimes spreads in the esophagus. The person suffering from GERD experiences pain or a burning sensation in the stomach or upper abdomen as a result. Heartburn can be caused by certain hot spices as it irritates the esophagus. Try to avoid these spices as far as possible to prevent painful symptoms and reduce the risk of ulcerations. High-fat foods, specifically those that are laden with trans fats, can cause reflux, as large amounts of acid are required to digest them, and it can cause harm to the protecting ring. Food items that are high-fat content have been linked to a decrease in LES pressure and delay the stomach emptying, that most probably leads to acid reflux. These Trans fats are also considered to be harmful and can cause esophageal disease. Since GERD can also contribute to problems associated with the esophagus, it is better to eliminate them altogether. Always consume food and beverages once it cools down as consuming very hot food items have been linked to stomach and intestinal ulcers, which can further intensify the symptoms of acid reflux. Both peppermint and chocolate aggravate acidity in the stomach and can also relax the sphincter (muscular ring) between your stomach and esophagus, leading to even stronger acid reflux symptoms and heartburn. Most of the alcoholic drinks are acidic, and it irritates the lining of the stomach. It is one of the most reported and visible reasons to intensify GERD, particularly if consumed in larger quantities. Those people suffering from GERD have reported feeling an increase in reflux symptoms after eating onions. You can avoid using onions if you feel a rise in heartburn and pain after consuming it. As stated earlier, GERD symptoms and causes can vary from person to person, and everyone has a few specific foods that trigger the irritation for them. Keep track of these foods that cause pain and heartburn and do your best to avoid them, to prevent GERD.